The Vocal Freecoaster gap washers allow you to adjust the gap (slack) within your freecoaster. They come in 3 sizes: Small, Medium or Large. There is a Left or Right hand drive version in small or medium. The large will fit both left and right hand drive freecoasters. Please select the appropriate on one for your hub. 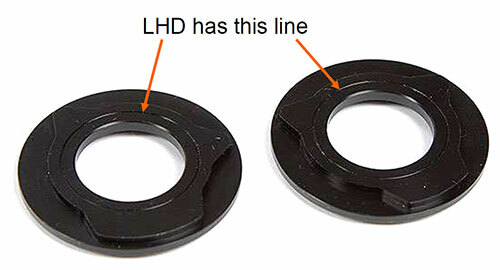 LHD washers have a small thin groove line around the washer, see photo.